Attention all football fans: If your Thanksgiving dinner falls right in the middle of football action this year, be sure to follow these simple tips to keep track of the big games so you don't miss out on a single play! Enjoy your meal and enjoy the games! 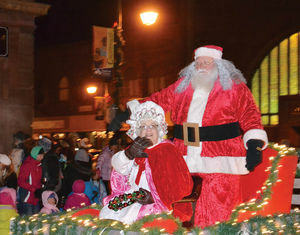 Owatonna annual Lighted Parade set for November 19th at 6PM. Do not miss this fantistic event!! Fun for all ages.